Crane, powered access and glass lifting specialist Hird is providing a range of lifting expertise at a biomass plant in East Yorkshire. 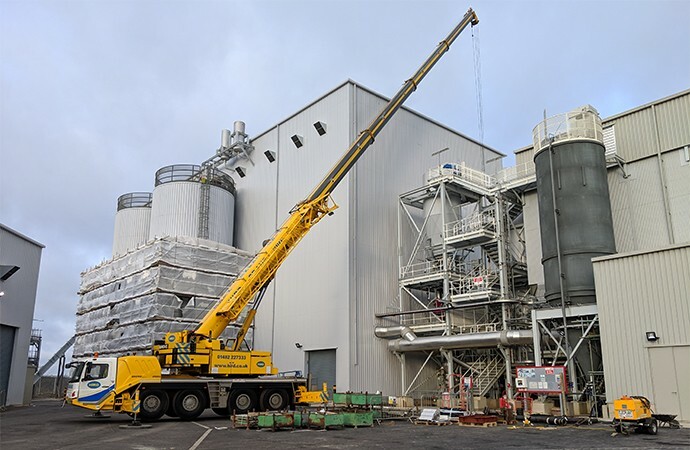 Contractors working at the wood chip and biomass waste burning power station have been using Hird’s Grove GMK 4100L mobile crane to carry out a series of lifts at the site. 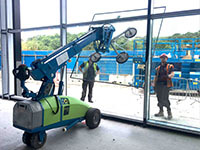 Hird has also supplied powered access machines to support maintenance and construction work at the biomass energy plant, and IPAF-accredited training so they can be used safely and effectively. 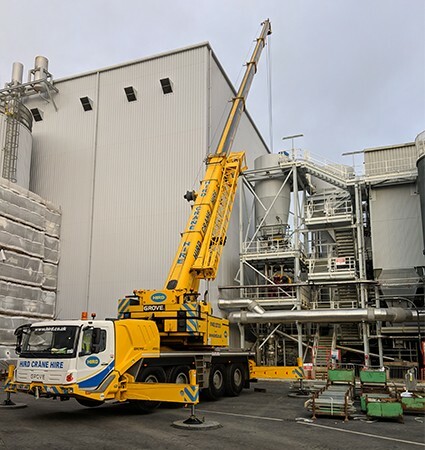 The Grove GMK 4001L mobile crane has been used to carry out a number of tasks, including lifting an engineering team to inspect the main flue stack. It has also been used to lift into place a support structure, and then a start-up silencer which was installed on the structure. The crane’s reach was needed to lift over already-installed plant. 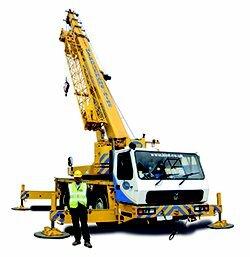 The machine also has Genie’s Fast Mast controls, allowing rapid raising and lowering of the boom to maximise productivity, and rough terrain capability. The client is also selected two Genie 1932 electric scissor lifts from the Hird powered access hire fleet. 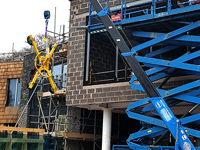 They allow working at heights up to 7.8 metres, have a lifting capacity of 227kg, yet are narrow enough (800mm) to pass through standard single doorways. 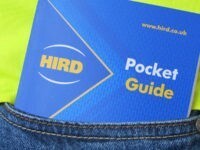 Hird also has a wide range of pick and carry cranes and tracked spider cranes in its mini crane hire fleet. Phil Hird said: “We’re the one-stop shop for lifting, both in terms of equipment and expertise. Lifting services, including contract lifting and machinery moving, are delivered nationally via three operational hubs. 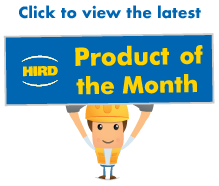 For more information, call Hird today.